Tablebases.com is here to help you choose the right restaurant table base for your home, restaurant, cafe or other business! We are a top supplier of high-quality, commercial restaurant table bases with a wide selection of dining room table bases for hospitality businesses and residences. Our glass-compatible bases utilize our glass top adapter, a beautiful machined aluminum disc that you glue to the underside of your glass and then bolt to the top of our RSQ, RFL, Turno, Plaza or Penny series bases (adhesive not included). The glass top adapter also works with our Eclipse, Roswell and Penny series bolt down table bases. Tablebases.com's recommended optically clear epoxy is Loctite, Hysol Product 0151. We recommend you hire a contractor or glass professional for installation. 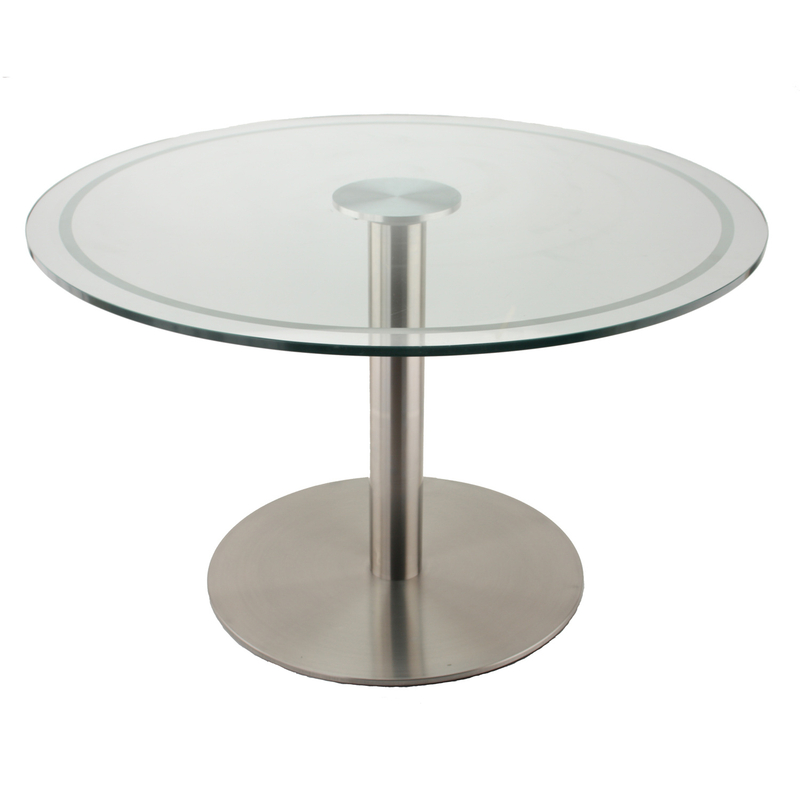 For more information, check out our handy Guide to Using our Bases with Glass Table Tops.